I spent hours putting together this meal. Planning it, testing out recipes, actually cooking it, tasting it, photographing it, etc. It was exhausting to say the least. (I had 7 hours in it just today) But so so worth it. 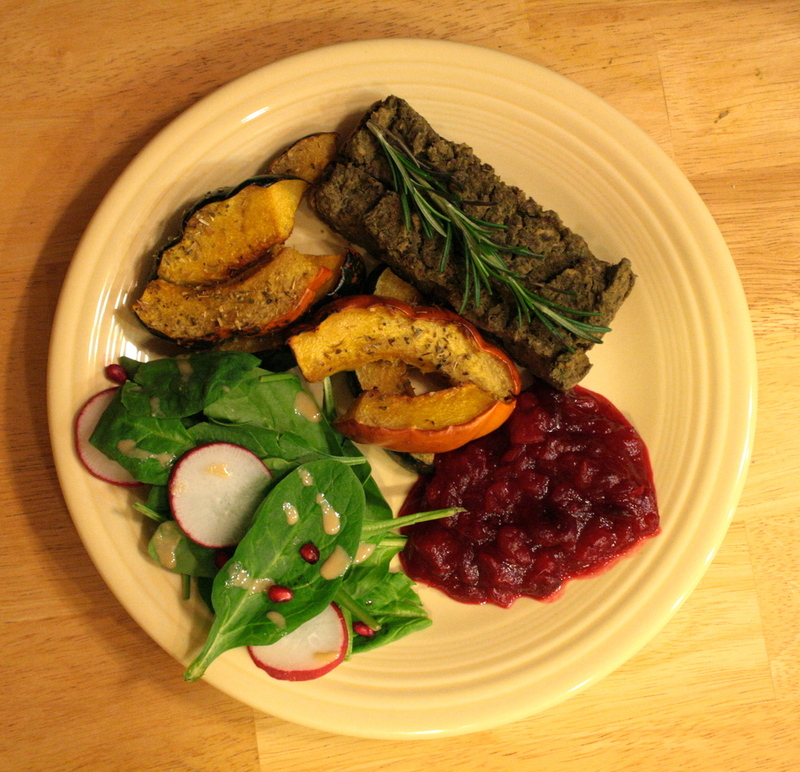 This Thanksgiving is my first gluten free, vegan Thanksgiving so I wanted it to be great. Plus everyone else that I'll be around will be eating everything I'm not and I wanted to make my food look just as good (actually way better) than theirs. Gluten free and vegan foods aren't boring! That's basically what I want to show everyone. 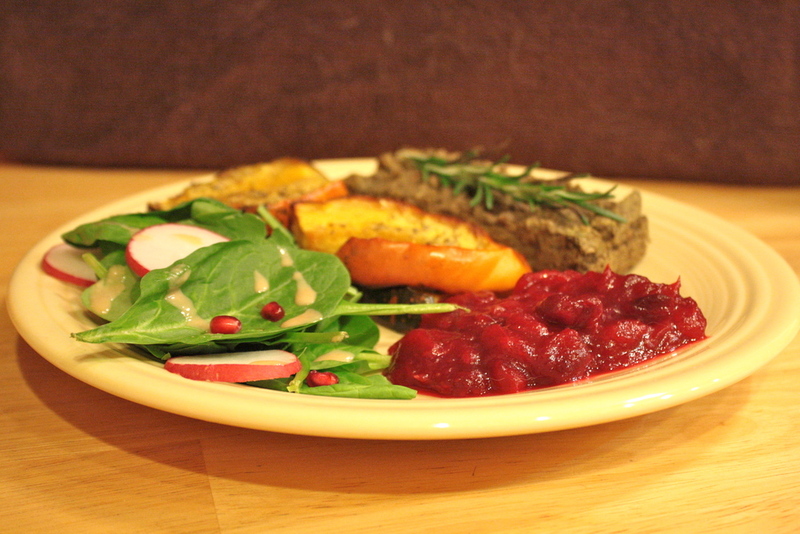 Anyways, I decided on a lentil loaf, acorn squash, cranberry sauce, and an autumn salad. (Desserts and snacks will be present as well, don't you worry.) So that's what I'm going to share with you guys today! Preheat oven to 350 degrees. Throw everything into a blender and blend until ingredients are slightly mixed. Stir by hand to mix completely, still leaving a thicker consistency. Place in a 9x4 greased pan and bake for 35-40 minutes. Serve, enjoy! In a sauce pan combine all ingredients, brining to a boil. Once begins to boil, turn down to a simmer. Let simmer for approximately 20 minutes; until sauce consistency is reached. Cranberries will begin to pop, then you should start stirring every few minutes. Remove from heat after thickened to suite you. Serve warm or cold (warm is best! ), enjoy! Preheat oven to 425 degrees. Wash and slice acorn squash. Coat in olive oil. Place on a parchment paper lined baking sheet. Sprinkle slices with oregano. Bake for 45 minutes. Remove, serve, enjoy! Place spinach, pomegranate seeds, and radish in a bowl. In a separate bowl mix together lemon juice and tahini. Pour into bowl and toss salad until coated. Serve, enjoy!! Happy Thanksgiving to all of my American friends :) And Happy Thursday to everyone not celebrating! I'm thankful for all of you!